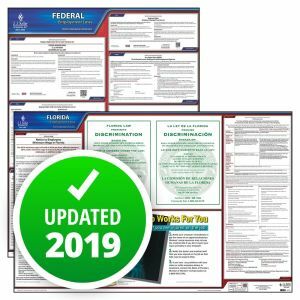 As of January 1, 2019, the Florida Department of Economic Opportunity has made a mandatory change to the state’s minimum wage posting to show the 2019 rate of $8.46 per hour. The Florida workers’ compensation poster, also known as the “broken arm” poster,” has been updated with a new URL for reporting workers’ compensation fraud. 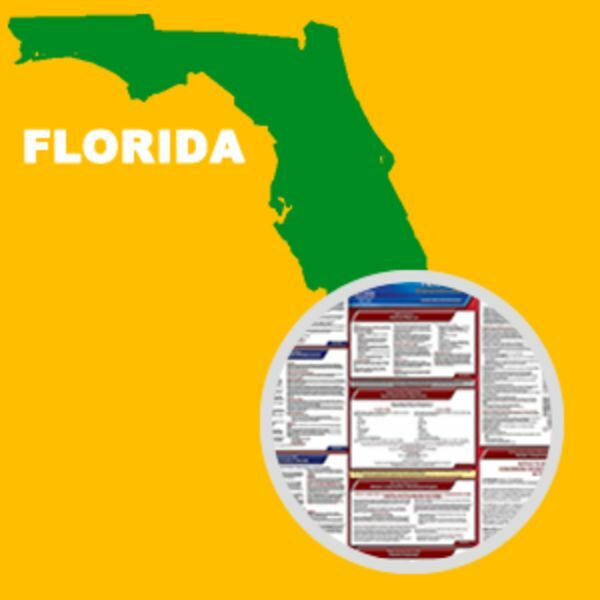 This State and Federal Poster Set includes one (1) Florida Poster and one (1) Federal Labor Law poster.